Kala at Bass Player Live 2013! – Play UBass! Kala at Bass Player Live 2013! If you’re close to Los Angeles November 9-10 (sure wish I was!) don’t miss out on the great event Bass Player Live 2013! 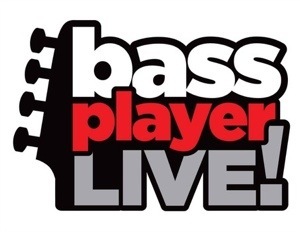 Make your plans now to attend the upcoming Bass Player Live event. Kala will be on hand with a full complement of U-BASSES. U-BASSIST Bakithi Kumalo will be in attendance at the Kala booth, meeting fans and showing off his signature model U-BASS. U-BASSIST Tal Wilkenfeld will be presented with the ”Young Gun” award at this year’s event as well. The Bass Player LIVE! clinics and exhibitors will be located at S.I.R. Studios on Sunset Blvd. in Hollywood from 10:30am – 6:00pm. Bass players of all ages, levels and styles are invited to attend. The Bass Player LIVE! concert will feature an all-star band of rock luminaries performing with Black Sabbath’s Geezer Butler, including: Lee Rocker (Stray Cats), Billy Sheehan (The Winery Dogs, David Lee Roth), Blasko (Ozzy Osbourne),Buzz Campbell (Lee Rocker), Charlie Benante (Anthrax), Corey Taylor (Stone Sour, Slipknot), David Ellefson(Megadeth), Frank Bello (Anthrax), JD Deservio (Black Label Society), Kerry King (Slayer), Rex Brown (Kill Devil Hill, Pantera), Rudy Sarzo (Blue Oyster Cult), Tal Wilkenfeld, Zakk Wylde (Black Label Society), and more. < Notreble.com featured my version of Amazing Grace!